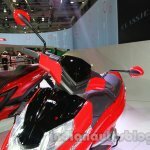 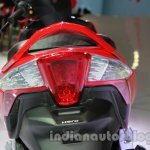 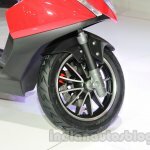 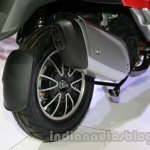 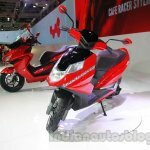 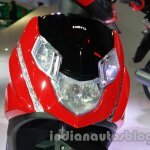 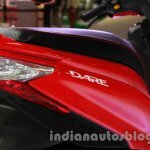 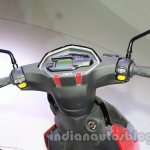 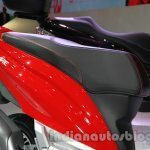 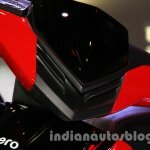 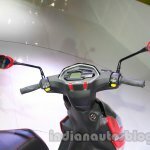 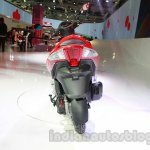 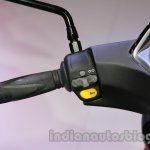 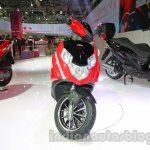 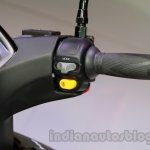 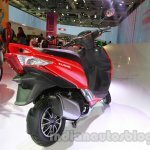 Hero Motocorp has announced three new scooters for the Indian market, including the 125 cc Dare. 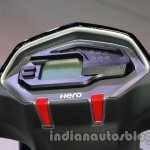 The Hero Dare is powered by a 124.6 cc forced-air-cooled engine which develops 9.38 hp at 7,500 rpm and 9.8 Nm of torque at 6,500 rpm. 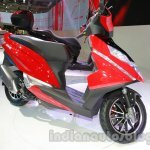 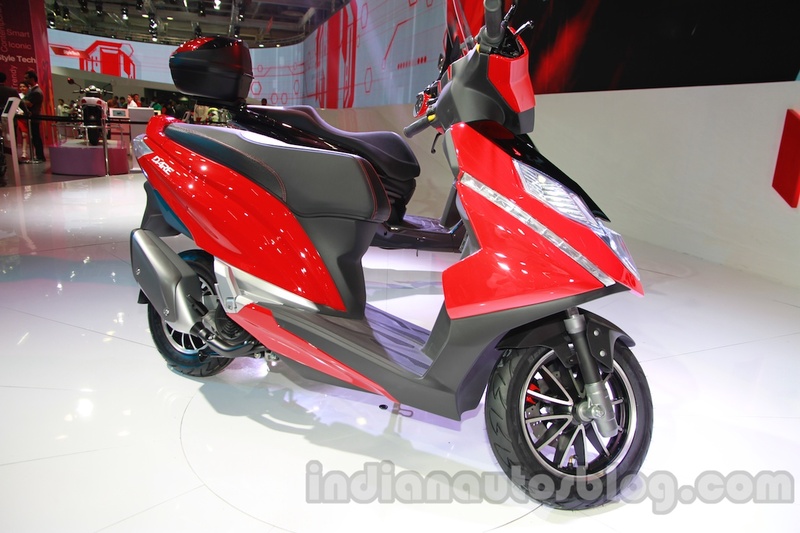 The 114 kg scooter gets full LED taillights, body-colored brake caliper, front 200 mm disc brake and a dual tone body. 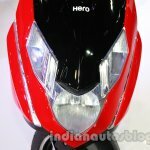 Hero targets the male audience with the Dare and says that features such as alloy wheels, LED daytime lights and a digital console will appeal to its target group.